Presenting our teachers series.... First one in the spot light...Namita ma'am. I love the idea of using this blog to present our teachers in a light that parents maybe never see them. I instantly knew I need to start such a project with our dear Namita ma'am. She is like an Energiser Bunny of Open Minds! Where does she get all the energy from? Namita ma'am is very athletic and loves all kinds of sports. If she could choose an ideal family vacation it would most likely involve hiking in a forest and camping in the tents! A true nature lover. What an adventurous spirit she is! Our students are lucky to have her around. I heard that she also conducts creative writing classes in her community and when I asked her,"Where do you get all your energy from?" She casually replied, "Actually, I feel relaxed when I teach kids." Great to have you with us, Namita ma'am! Some people were born to teach and I have a feeling you are one of them. Once upon a time, in a land far away, a little, charming village was hidden in a lush river valley. For centuries, the valley people lived in this revered place where life was beautiful most of the time. Simple, yet beautiful houses were scattered through out the valley, like small wind-blown leaves on a windy day. The village people were hardworking, honest farmers who respected the land and the gorgeous nature as they were depending on it for their food and income. They were cultivating the fertile land with love and respect to get food and apart from that they skilfully weaved baskets and sold them in the nearby market to earn money. The basket weaving was passed down for generations and no other place was as famous as this one for their meticulous, detailed, artisan baskets. Each morning the village was bubbling with activities. The children hurried to school, the parents rushed to the fields that needed attention and the village animals were roaming around doing their regular daily business. In the midst of the village hullabaloo, two houses stood out. In the first big, orange house that looked like straight from a fairy tale, lived a family with 4 children. They had no pets whatsoever and the children had their grandmother who took care of them while the parents worked in the fields. The children were rather spoilt and unkind. In the second house, a pale blue villa that has long lost it’s former shine, right across the yard from the first, lived a young family with 3 witty children, a black cat with long silky fur and a friendly, brave dog that kept the children safe through out the day. The parents left early every morning to work hard on the fields and the children were home alone. Their mother left some yummy food on the table every day and a big round, clay vessel, full of milk, so the children wouldn’t go hungry. Each day, when their mother returned from the fields and saw that the vessel filled with milk was empty, she was so pleased and complimented them: “Well done, my sweet children. I am so happy to see you ate well and drank all the milk.” The children replied: “We didn’t drink it alone, mother. The white snake with a golden crown drank some milk with us.” Their mother laughed out loud and said: “Oh, you children! Your imagination knows no bounds,” for it was not easy to believe such a thing. A white snake? With a golden crown? No, way! But, you see, every day around lunchtime, when the sun was high and shining brightest, a striking, slithering, slender white snake appeared in the village, looking for some company and, yes, some food. When she visited the orange house for the first time...oh, what drama she encountered! It could simply never get past the grandmother, as the old lady started shouting from the top of her voice and swinging a bulky wooden broom towards the poor snake. “Go away, you disgusting creature! You are not welcome here, you slithering troublemaker!” The children were no better either! “Hit it, grandmom! Yeah, smash it hard grandmom!” They were all shouting and created such ruckus that they woke up all the sleeping babies in the village! the fascinating snake lovingly. They thought it was the most beautiful thing they have ever seen. “What white snake?” asked the second one and almost forgot to breath. Were her children telling her the truth? She got incredibly worried and alarmed; she instantly dropped what she was doing and sprinted home. She came home just around lunchtime and through the window she saw the children just grouped around the table to relish their lunch. She decided to hide and peep inside secretly to see what’s going on. Just then, the stunning white snake entered the house and the mother froze with horror. She could not move. To her surprise, the snake gently mounted up into her son’s lap and onto the table. The children were rubbing its skin and laughing cheerfully. The mother was amazed although still petrified. After the snake finished drinking milk, something strange happened! Something that never happened before! It shook her head gently, dropped the crown on the table, and left swiftly. 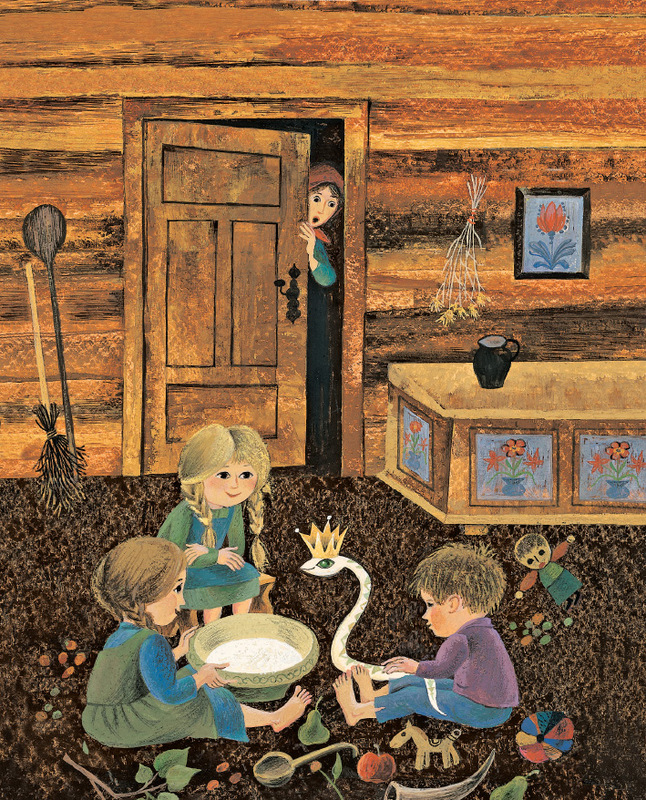 As soon as the snake disappeared the mother scurried inside the house and took her children to safety of the bedroom. She seized the little golden crown and placed in on top of a pile of fine wooden splints that her husband used to weave baskets. She didn’t think much of that crown, she was just extremely thankful that her children were safe. But why did the snake leave the crown behind? Will it come back to get it? golden crown and placed it in a practically empty wooden chest where they stored their food. The next morning the chest was entirely packed with food and the family rejoiced. They have never seen such abundance of food before! They shared it with all other villagers and still they never ran out. Mothers were now able to spend more time with their children and no one ever went hungry again. The crown was indeed a magical one and the snake left it behind to repay the gracious children for all the kindness they showed it. The old grandmother from the first house regretted bitterly that she was so mean towards the magical snake but fortunately for her, with such noble neighbours even she benefited from the food bounty, as they were such kind and sharing people. She was never again mean to anyone in her life. As for the snake, has she ever returned to the village? Some children claimed they saw her again but she has never returned to collect her crown. 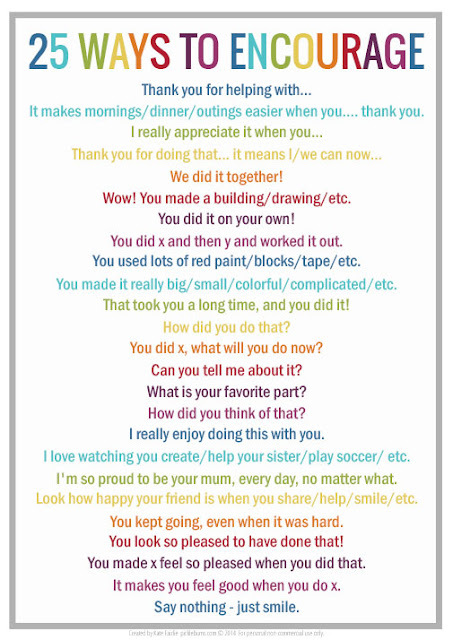 Positive reinforcement and praise - a key to good relationships and behaviour! Sometimes I feel that we are too quick to point a finger at something wrong and never quick enough to praise what was done well. Children thrive when we praise them. Not only children. We all do! We should use every opportunity to praise our children, colleagues, spouse, parents or neighbours. 'Good job,' won't cut it though! We should make sure our praise is very concrete and specific. The homework only half way done? Make sure you appreciate the half that is done before pointing out the part that isn't. Go through your children's notebooks regularly and appreciate everything you like. Is his handwriting bad but then in one page you see a significant change? Make sure you not only notice it but praise your kid for showing so much patience and interest to actually focus on the handwriting. Think about the times you’ve been honoured for your contributions at work, gushed over for cooking a delicious meal or high-fived for rocking it at karaoke. Likely, the recognition made you feel awesome and motivated to do more of the same. 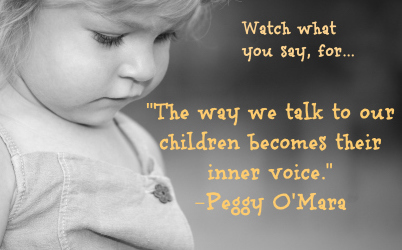 Positive reinforcement helps bring out the best in all of us, especially children! 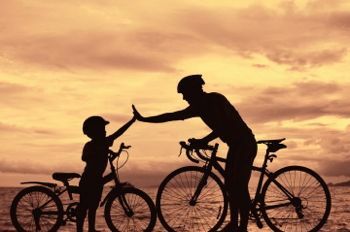 Focusing on and praising your kiddo’s desirable actions is the best way to shape consistently good behaviour. Here’s the scoop on positive reinforcement. Rewarding your sweetie right after he does or says something increases the likelihood that he will repeat the behaviour again. That’s because your praise makes him feel really good – it helps boost his self-esteem – and he’ll continue to do the things that gain your attention. For example, when you give your child hugs and hoorays for putting his toys away properly, he’ll be motivated to continue cleaning up nicely in the future. In contrast, if you give a lot of attention to what he’s doing wrong and little recognition to what he’s doing well, the rate of his negative behaviour will rise. To increase a particular behaviour, you must reinforce your kiddo as soon as she does it. That way it’s clear to her what action has earned her an awesome reaction. Let’s use the example of sharing toys at playtime. The instant Sriya calmly gives her Dora doll to a pal, deliver specific verbal praise – “I love the way you share your toys!” – and give her a tickle, hug or high-five. Celebrate each positive step she takes – be your child’s cheerleader! – and ignore any negative outbursts until sharing toys appropriately becomes automatic behaviour. Once that happens, you can fade back reinforcement, giving praise intermittently. So, let's take this one week ahead and try to full - heartedly focus on positives and make sure we praise everyone who deserves it! That said, of course we should never lie when praising! That would do more damage then good. Praise should come when deserved and if you focus on positives the opportunities will be plentiful! Venue: ILS - Open Minds! ! Time: 9:30 - 2:30pm! ! ! ! 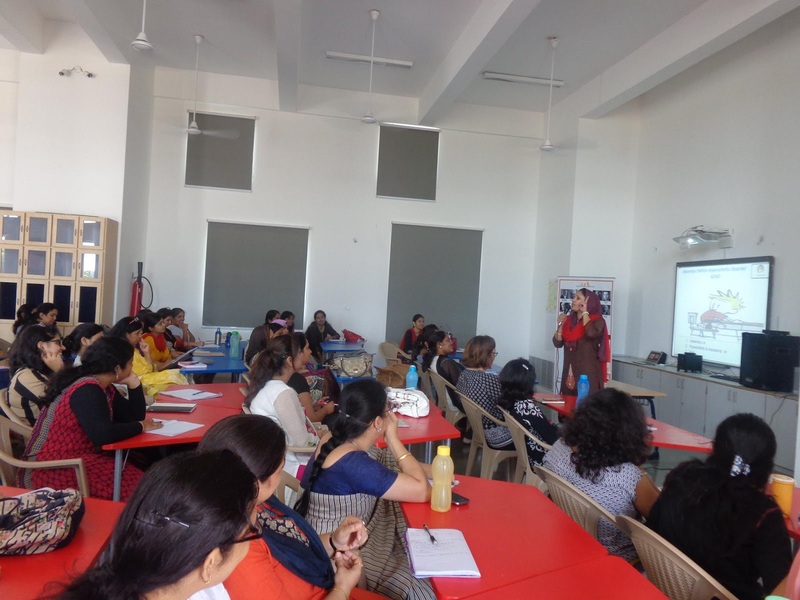 The workshop was planned to address the different types of hinderances that a child might face while learning. The hinderances could be either mental or physical. The teachers need to be aware of the different kind of issues that a child could go through due to developmental delays. Without proper understanding of such issues, there could be chances where the teachers might not be able to acknowledge the problem and could lead to labeling the child. Ms.Afshan Jabeen, from Ripples, was approached to handle this topic to introduce all such issues to the teachers as they are the ones who build a child’s confidence. This workshop has helped all the teachers in understanding the reasons behind few behaviours that children exhibit in classrooms. It was an opportunity where a teacher can acknowledge the different aspects of learning and behavioural patterns of the child and can be more sensitive. These were the issues discussed, as to how the child with any of these difficulties could behave or react in a situation. What symptoms to look for and what could be done for addressing it. The teachers were interested and wanted to take this learning further. The details of Ripples was shared with them and they could study further. 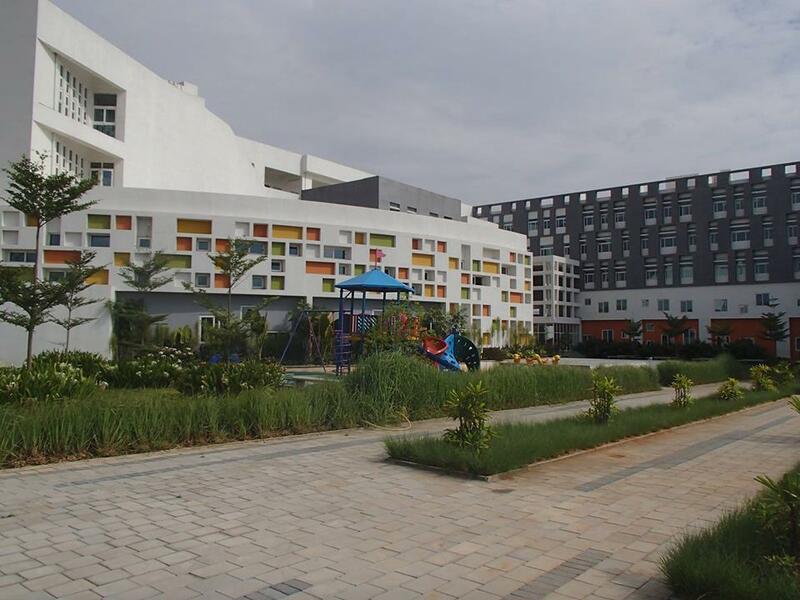 Ms.Afshan is also trying to find a suitable Special Educator for us, who could work across all the 4 schools to address any such special needs. All the teachers from Globe Tot’ers - Jubilee Hills, Gachibowli and Gopannapally and Open Minds were a part of this workshop. The feedback received from the GT teachers and Center Directors was very positive and they could even discuss the way forward in this area. Report On "Investiture Ceremony, 2015"
Are leaders born or they made? To nurture its students to be future leaders, on 3rd July,2015 Open Minds had its INVESTITURE CEREMONY .The first mega event for this academic year. Investiture ceremony sets the right tone for an academic year during which the young leaders not only learn to guide other students but also create models in leadership for others to follow. They pined to show how a positive journey can transcend faces into visages of the new era. The new student council was elected through a formal School Elections. Students from grades 7 to 9 contested for different positions based on their interest and abilities. 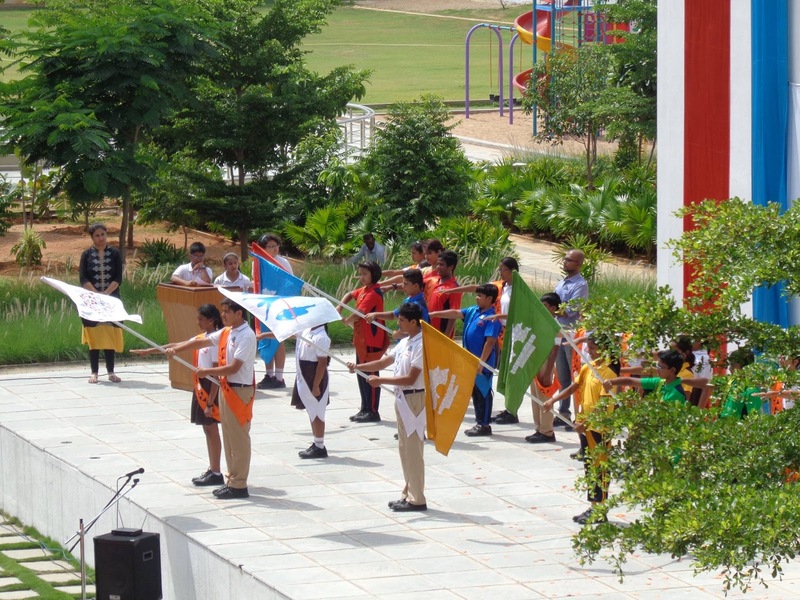 The elections were held on 19th June,2015 in the school premises. The campaign was done by the contested students speaking on their strengths and promising that they would deliver their duties with great zeal and commitment and address all the concerns. The slogans like VOTE RIGHT, VOTE BRIGHT, VOTE FOR ME brought the whole house together. The day of elections engaged every heart with galore of feelings of hope, nervousness, readiness, the strange charm of unsurety, excitement, and confidence. All the students voted through secret ballot. The sound of joy and mirth reverberated and resonated through the school campus as the results were announced. A week prior, the preparations started to honor the new student council on investiture ceremony. The entire team was together to make the event memorable. It started with, Mr. Jacob training the newly elected council members on the protocols to be followed. 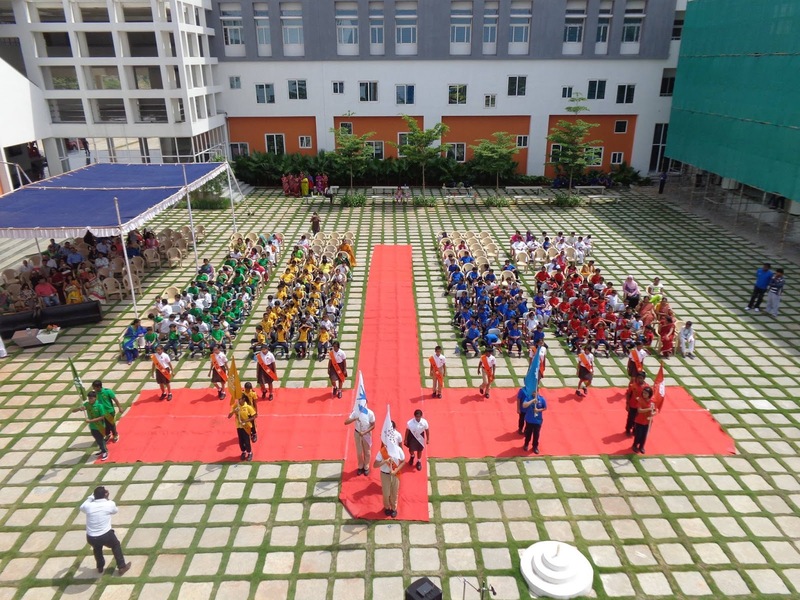 Meanwhile Mr. Keshav & Ms. Koushiki prepared the students for the beautiful welcome dance .Our principal Ms. Swapnali and Academic coordinator Mr. Arup were always there with their suggestions, supporting the magnanimous whole. Our front office executive Ms. Lovina was a great support- hand during the entire program. 3rd July,2015- the day most awaited by entire Open Minds family. The program was compered by Anushka Anumanchi, Aryan Kadli and Arshiya.. It started with welcoming the chief guest Mr. M Jagadishwar ,IAS along with our Chairman Mr. Sudhakar Reddy and parents students. Keeping the tradition intact the melody of shloka whispered the commencement of the event. The school choir presented a jubilant disposition of our school song followed by a gleeful welcome dance by our students. Then started our most awaited moment, the student council with 21 students marching towards their goal. It was a splendid moment to watch. With the vigorous beats of drum, our Dean Aryan Sharma took the lead and marched forward, followed by our Asst.Dean , Kriti Reddy, Sport Capitan Meganath , Sports Vice Captain Shamitha. Then our House Captains and Vice Captains marched ahead followed by our Cultural Captain, Cultural Vice Captain, Assembly Captain, Literary Captain , Literary Vice Captain, Health & Hygiene Captain , Health & Hygiene Vice Captain, Community Service Captain and Community Service Vice Captain. With the heads high, hearts in humility along with the House Masters, they all collected the Sashes and badges from our chief guest, our chairman and our beloved principal Ms. Swapnali Deore. The entire venue was filled with great applaud, echoing the exhilaration hidden in every hearts. Cut from same cloth and woven in strands of integrity, sincerity and honesty, our student council took an oath that they would live up to the expectations and would be fully committed to all that the school stands for and strive to achieve them which was administered by the chief guest. The event continued with an inspirational speech by the chief guest. Then the new dean encouraged his team and students with his speech. The young leaders were motivated with the Principal’s words which rejuvenated every soul: ‘This is the beginning of a new era in your life…..’ indeed portrayed- the deeds of a whole epoch lies within the short span of every life. The lines from our school song ‘Be the change, the change is you’ came with a new gusto and passion from our Principal and kindled the flame of underlying leadership within the students. After vote of thanks by the Asst. Dean Krithi, the event concluded with the National Anthem.